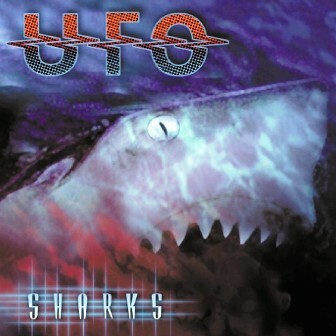 Much to the delight of old-school headbangers, the classic lineup of one of the great (yet usually underappreciated) bands of the '70s, UFO, regrouped in 1993. UFO's first new record since reuniting, 1995's «Walk On Water», saw the quintet pick up exactly where it left off, not altering its formula much at all. The reunion (or at least the team of Phil Mogg and Michael Schenker) remained together for several albums afterwards, including 2000's «Covenant» and 2002's «Sharks». The latter release sees bassist Pete Way return to the fold and, unsurprisingly, «the song remains the same». The boys can still lay down a hard-rocking thumper with no problem (albeit in more of an obviously Bad Company-like style), especially on such standouts as «Serenity» and «Fighting Man». But few tracks here approach the magnitude of, say, «Lights Out» or «Obsession» — something that the aforementioned «Walk On Water» surprisingly did. — Greg Prato. Recorded at Praire Sun Studios, Cotali, CA.